ELEKTRA SelfTec®PRO and ELEKTRA SelfTec®PRO TC self-regulating heating cables are available on spools, with lengths to match those of pipelines, directly on building sites. These cables require termination and power supply connection. 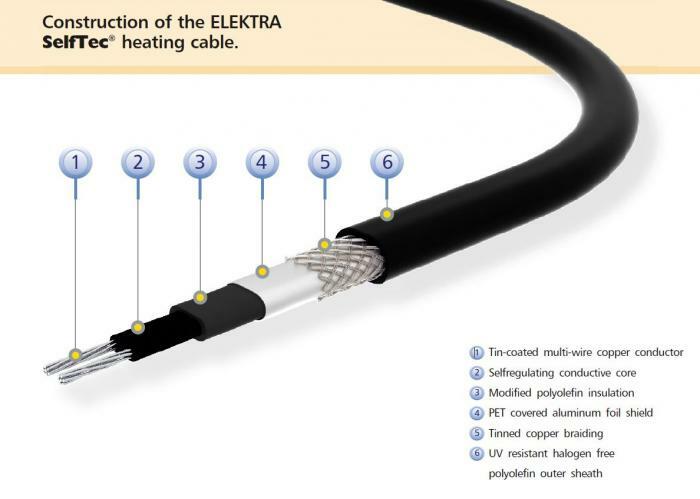 ELEKTRA SelfTec® self-regulating heating cables are ready-made units of specified lengths, terminated with a 1.5 m long power supply conductor with a sealed plug. They are also alternatively available on spools. ELEKTRA SelfTec®DW self-regulating heating cables are available on spools and are designed for the in-pipeline operation. 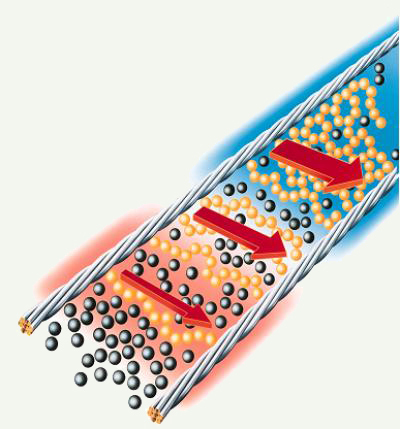 Self-regulating cables are made up from two copper wires positioned in parallel, interconnected with a core composed of cross-linked polymer with addition of graphite. The core constitutes a self-regulating heating element whose resistance will alter depending on temperature. 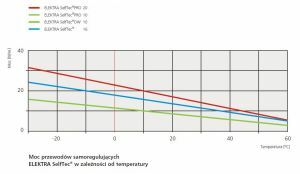 Thanks to this property, the cables will increase their heat output with the decrease of the heated item’s temperature, and – respectively – decrease it with the temperature increase. 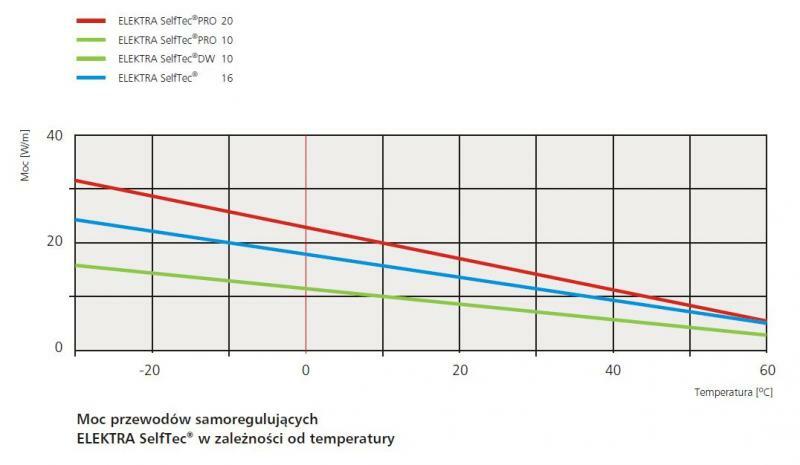 Heat output variations will occur only in those places where the temperature change is noticeable and will not influence the heat output of the remaining part of the cable – that is the reason why the cables are not in danger of overheating and they can even touch or cross freely.